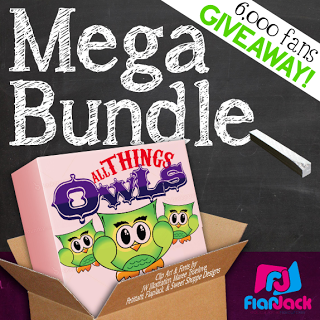 6,000 Fans Owl Pack Giveaway! Hey, guys! I just recently reahed 6,000 likes at Facebook (thank you, thank you, thank you), and I at the same time bundled ALL of my owl resources into one “owl“-encompassing resource for teachers who love owls (click on the image to see more details of what’s included). If you were to purchase everything individually, it would be over $47 worth of owl-themed resources! So, I decided to do a 6,000 fans giveaway with this resource. If you belong in the owl-lovers fan club, then I think you will definitely want to partake in this giveaway. It’s an easy entry Rafflecopter, but the more you do, the greater chances of winning you give. The only required entry is subscribing to my YouTube channel. Even if you don’t have a YouTube account, all you need is a gmail account to subscribe. The contest is open until next Saturday night before the clock strikes midnight (eastern standard time). I’ll pick ten winners Sunday, and you’ll be notified by email. Thanks so much for playing and sharing about FlapJack resources! !